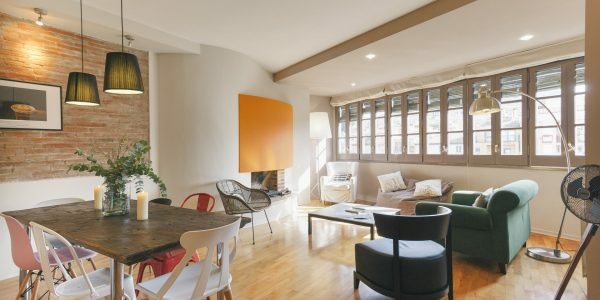 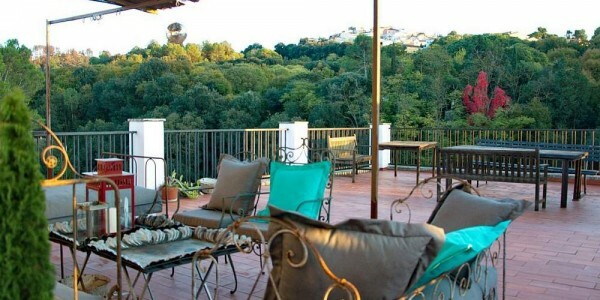 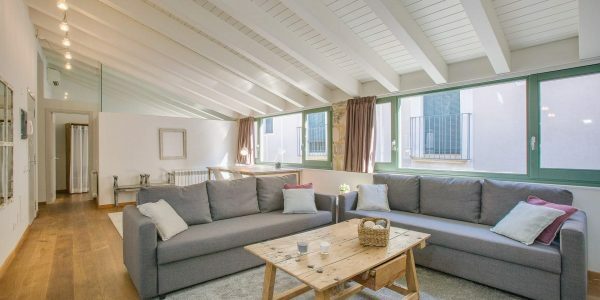 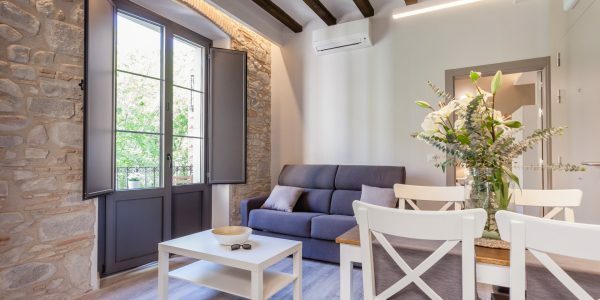 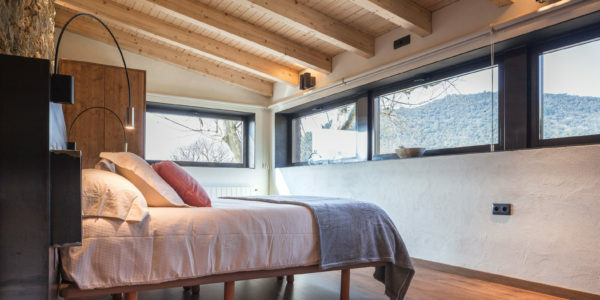 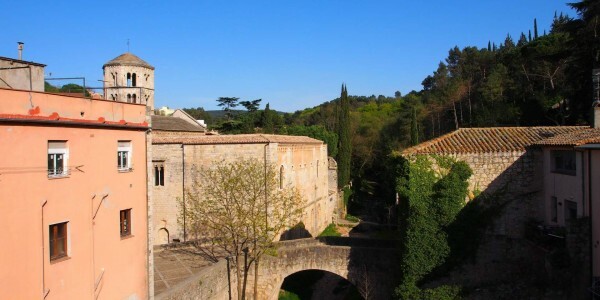 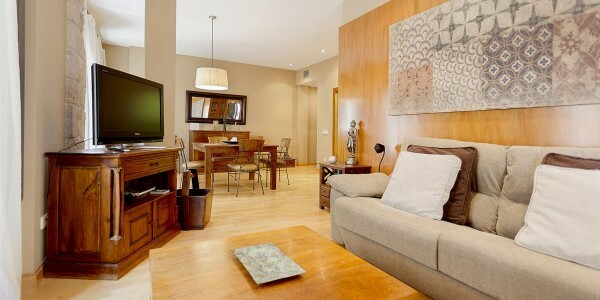 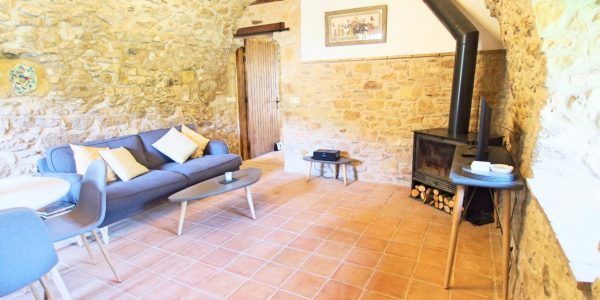 Charming 2 bedroom ground floor apartment with terrace in Sant Daniel, an enchanting part of Girona revered by nature-lovers, walkers and cyclists. 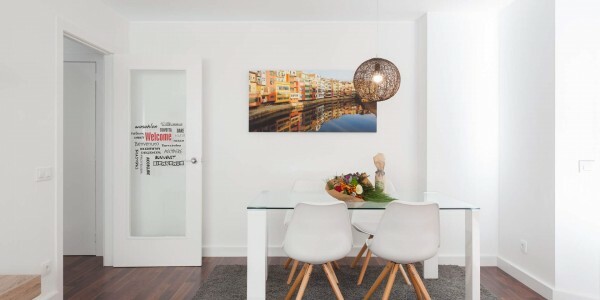 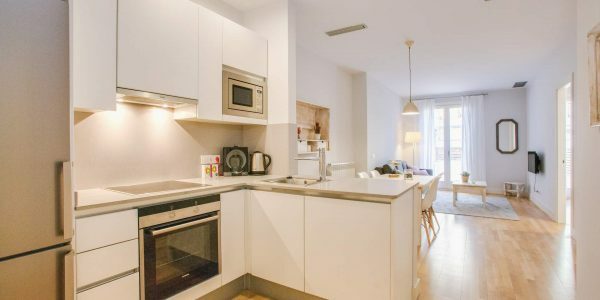 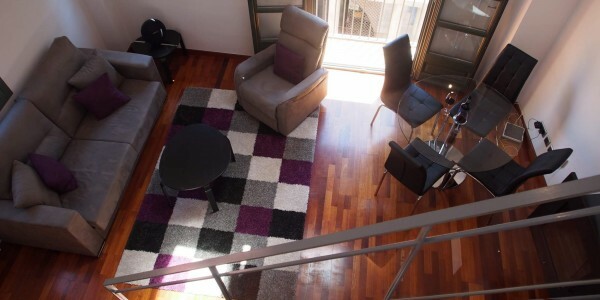 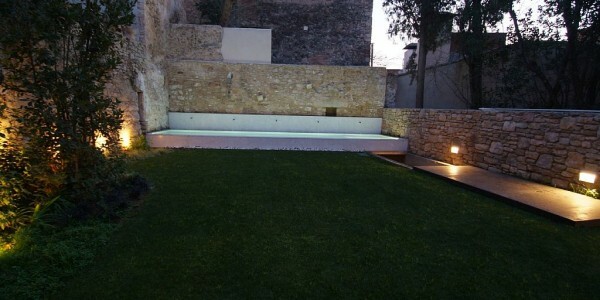 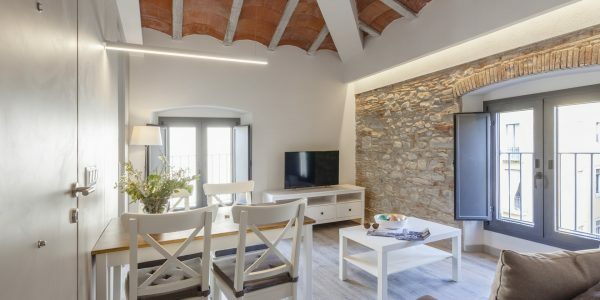 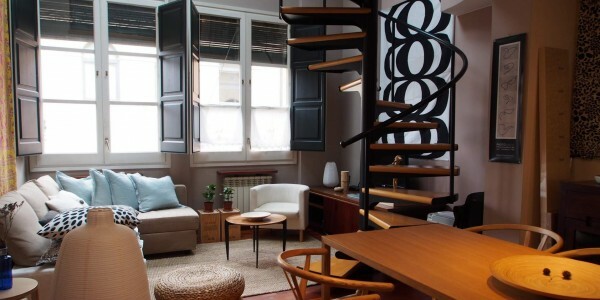 This newly renovated apartment is only a 10 minute walk to the old town of Girona with its cultural sites and amazing bars and restaurants. 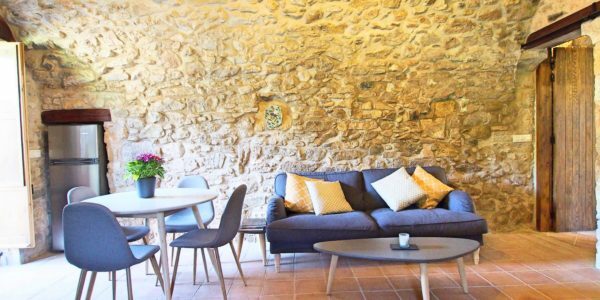 Why choose when you can have the best of both worlds – City Break and Country Retreat! 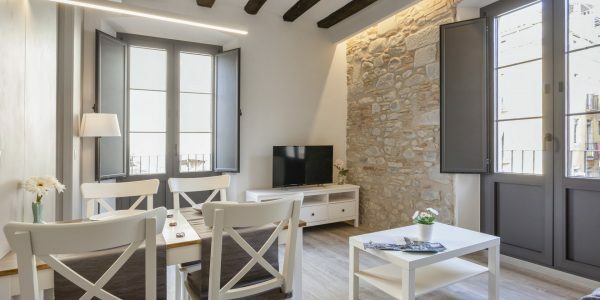 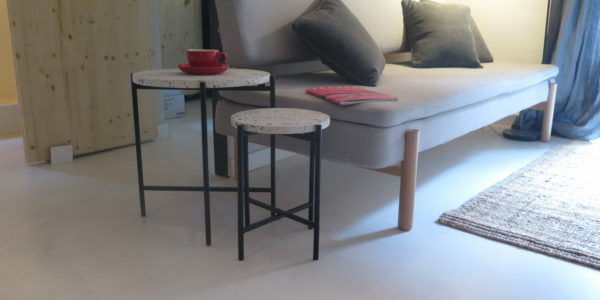 Part of a listed building dating from the 17th century, the apartment has been newly renovated and tastefully decorated to make your stay as enjoyable and comfortable as possible. 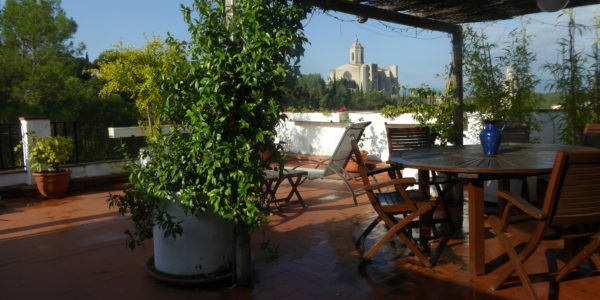 There is a patio garden at the front with views to the countryside and cathedral. 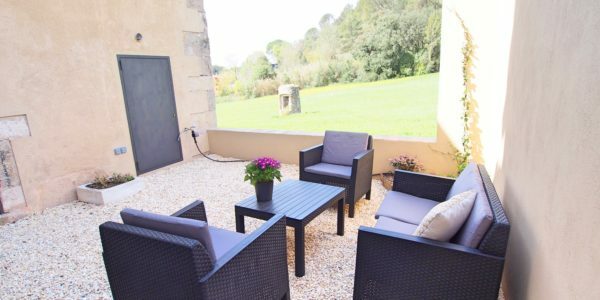 You will also have exclusive use of the back garden. 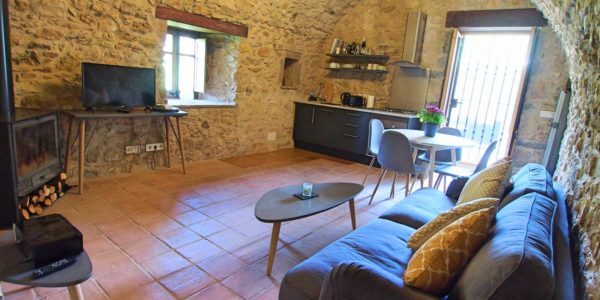 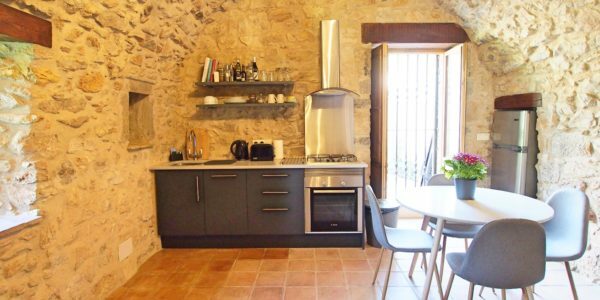 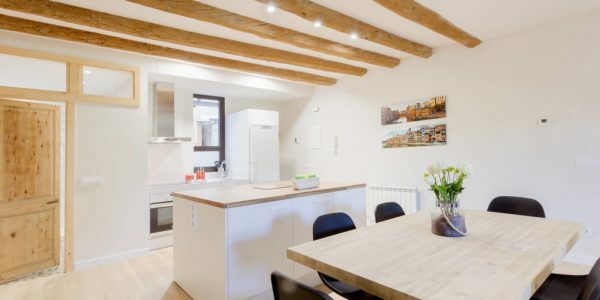 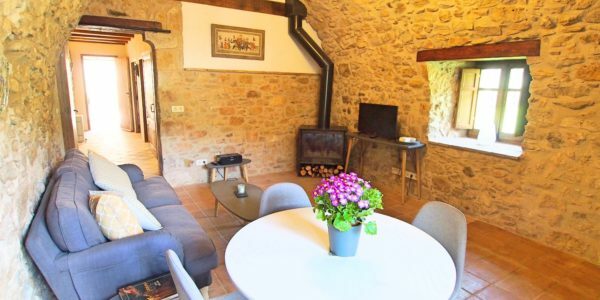 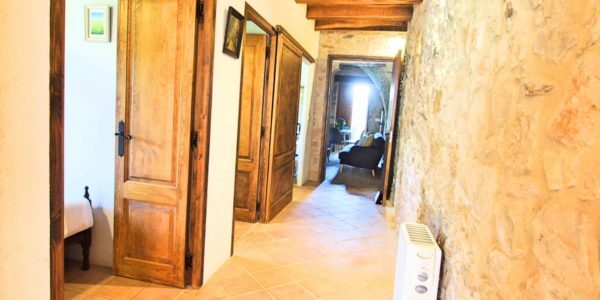 The apartment itself consists of a historic stone vault which houses the living area, a fully equipped modern kitchen, dining table and a woodburner for those cosy winter nights. 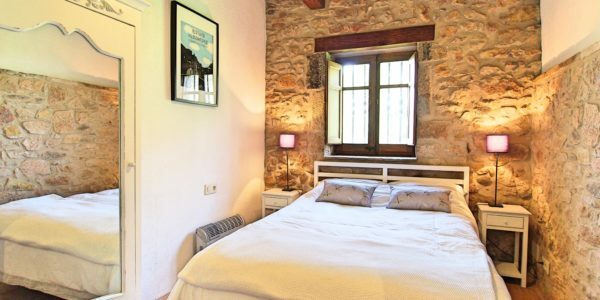 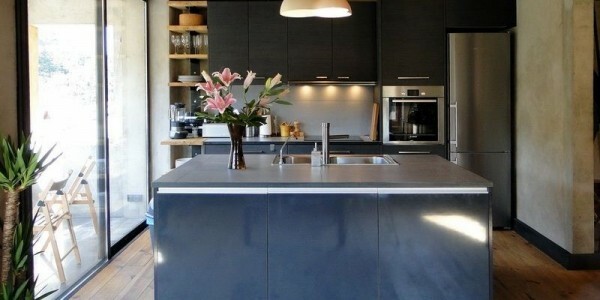 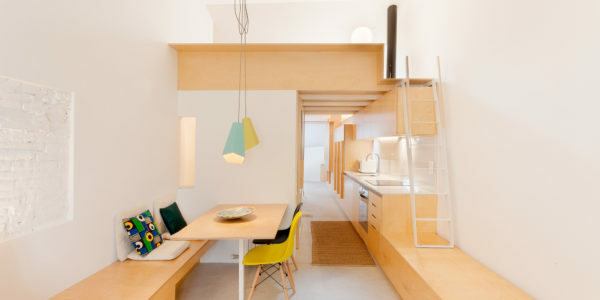 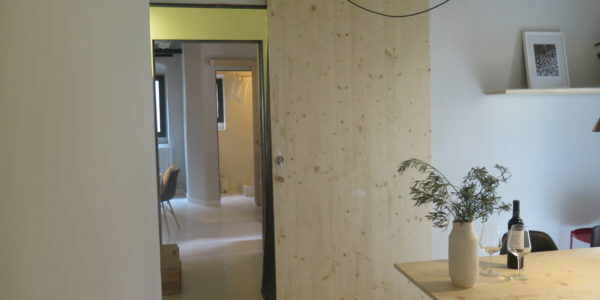 There are two bedrooms – one with a double bed and the other with twin beds. 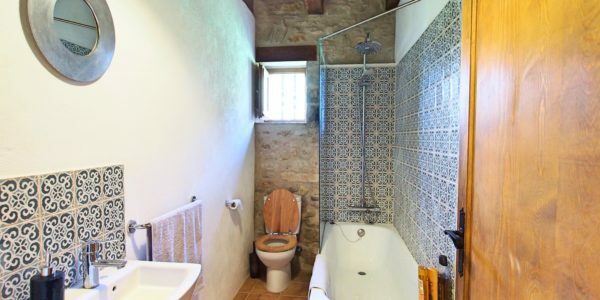 The bathroom has a full size bath with shower in case you fancy a long soak after a day of sightseeing, walking or cycling.